Beyond providing data for all 32 NFL teams, PFF also supports network broadcasters with game-preview packets that are used to enhance the in-game experience for fans and viewers. This Steelers-Ravens preview features the same information our broadcast partners use for team research and in-game production. 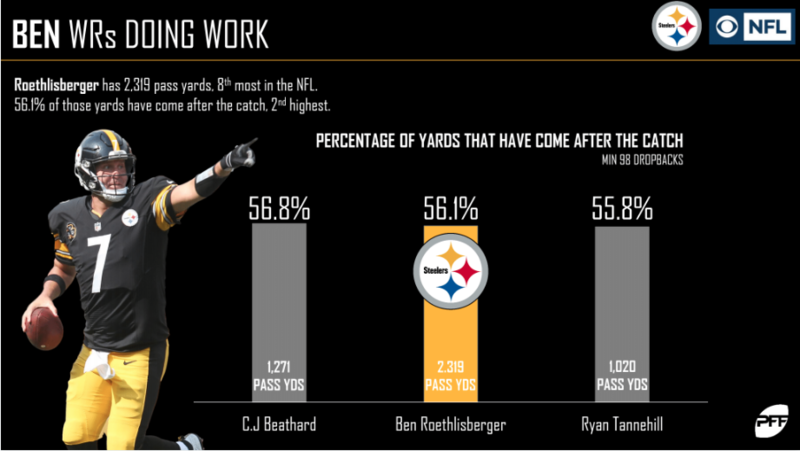 Only one quarterback has benefited more from yards after the catch than Ben Roethlisberger. Roethlisberger has 2,319 passing yards this season, 56.1% of those yards have come after the catch, the second-highest mark. 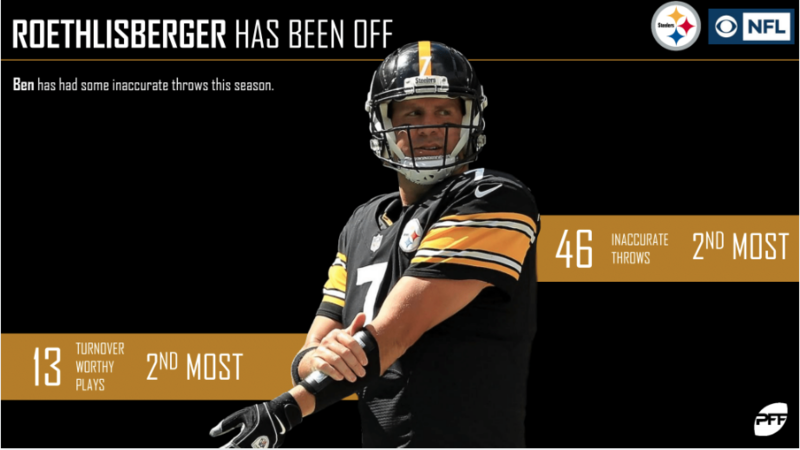 To say Ben Roethlisberger has been a “little off” this season might be an understatement. Combine 46 inaccurate throws with 13 turnover-worthy plays, and it isn’t a huge reach to wonder if Big Ben is beginning to fslow down. 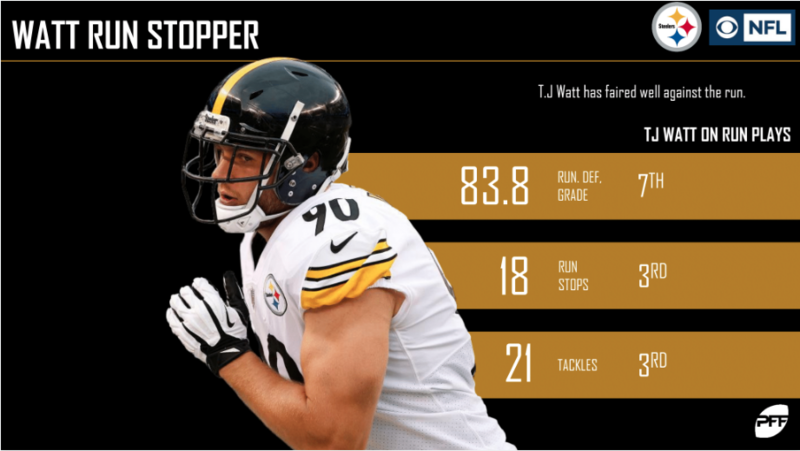 18 total run stops with 21 total tackles (both third among edge defenders) and it’s no wonder T.J. Watt has earned an impressive 83.8 run defense grade this season. 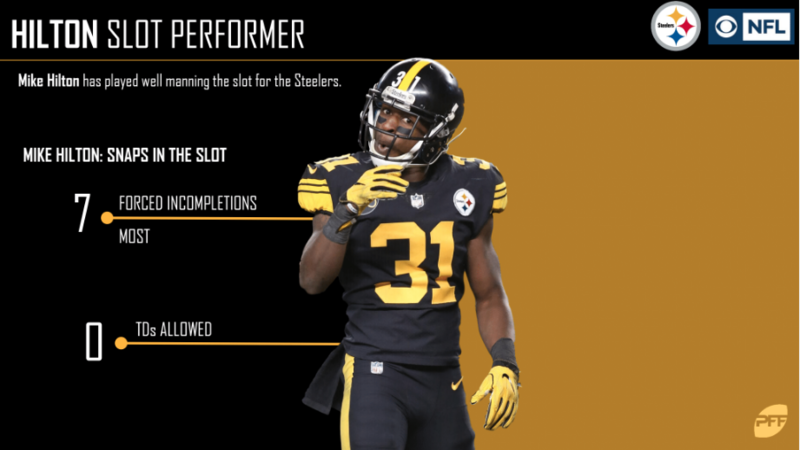 Mike Hilton has performed well in the slot for the Steelers this year, forcing seven total incompletions and allowing zero total touchdowns. 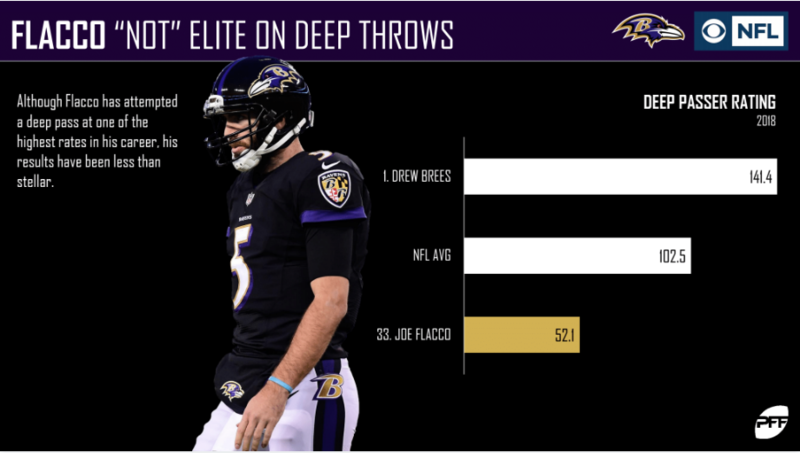 After posting the lowest deep pass percentage in 2017 (8.6), Joe Flacco has gone back to airing it out. His 14.0 deep pass percentage is currently tied for the eighth-highest among eligible quarterbacks. 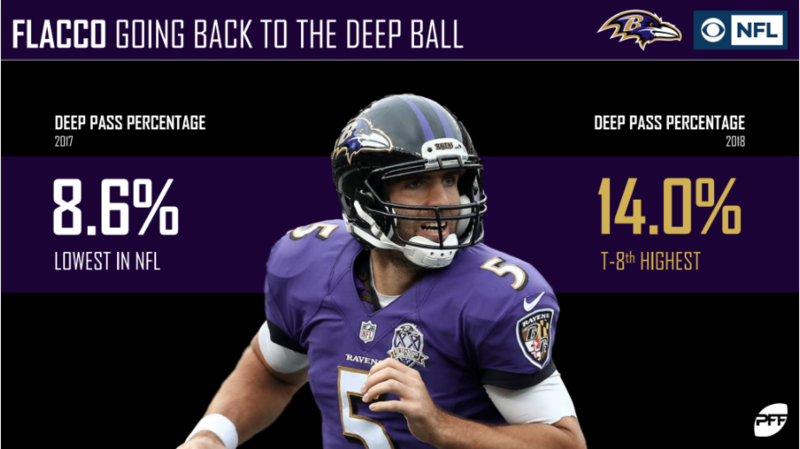 While Flacco has shown a willingness to go deep more often, it hasn’t exactly produced good results. His deep passer rating of 52.1 ranks 33rd among quarterbacks and is nearly half of the NFL average. Best secondary in the NFL? 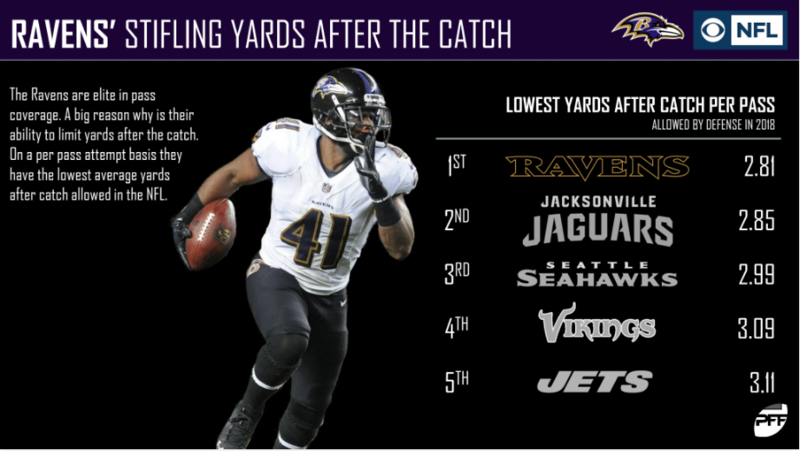 One of the reasons the Ravens are consistently named as a top secondary in the league is due to their ability to limit yards after the catch. They’ve allowed only 2.81 yards after the catch per reception allowed, the lowest mark in the league. Marlon Humphrey has allowed a passer rating of 83.6 into his coverage, while JuJu Smith-Schuster has generated a passer rating of 92.9 when targeted. While all eyes will be on Antonio Brown, don’t forget about this key matchup in the secondary. PFF Greenline has projections for the spread, moneyline and over/under of the Steelers’ matchup with the Ravens. Get its picks here.